Since the Launch of Twin Casino in Summer 2017, we’ve been seeing double, and if we’re being completely honest … we’re LOVING it! A group of industry professionals have come together to present us with this “twinifying the world” online casino concept and we are head over heels. Double bonuses, impressive game choice and fast pay-outs; we only have two words for you – get playing. Twin Casino is the dictionary definition of a user-friendly website; it is super easy to use. Anything you need, you’ll find on the homepage: the best games to play, multiple bonuses and all other useful info like game providers, payment methods and whatever else you might need to know. The Website is also available in four languages: English, Suomi, Norsk and Svenska. Something else we really love about this casino? The “twin” word play. With ‘Mission Twinpossible’ and some great ‘Twintroduction Offers’, navigating through the site alone is just really fun, but not as fun as benefiting from their amazing welcome bonus! Your first deposit bonus finds its identical twin in Twin Casino, as the 100% up to €100 offered on your first payment is replicated on your second deposit. For your first and second deposit, you’ll be earning a total of 100% up to €200. See what we mean when we say we’re really digging this whole “twin” theme? And that’s not all folks! Deposit €50 or more and you get 50 free spins on both your first and second deposit, which you can spend on an Yggdrasil favourite ‘Sunny Shores’. You have 30 days to make use of these bonuses upon sign up. The wagering requirement for the welcome bonus is 35x the deposit amount and you have 30 days to complete it. Apart from the welcome bonus, Twin Casino regularly updates its site with ongoing bonuses and tournaments, which you can take a better look at here. The software used by Twin Casino comes from NetEnt, Microgaming, Quickspin, Yggdrasil and Evolution Gaming, so you might already have a good hunch on the type of games to look out for on this online casino. This online gaming site currently has over 300 games, and since it’s still relatively new, you can bet on that number doubling in the near future. Twin Casino’s table game selection is surprisingly extensive. Like to play roulette? One type simply won’t do. Choose between European, French and American Roulette amongst a wide choice of other games like Red Dog, Black Jack and Poker. That’s basically all your table favourites under one roof. Twin Casino’s live game selection is impressive to say the least. Not only do they have basically all table games in live version, but in most instances you can choose between more than one of the same option. Different languages are also offered for games like roulette. Best of all? This casino offers Dream Catcher as one of its live options, which is not something commonly found in other live casinos. Any mobile gaming lovers out there? Good news lies ahead for you in the next few lines. 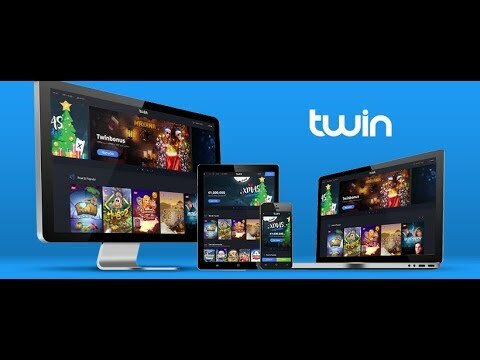 Twin Casino has a high quality mobile version of their website, which means that when it comes to playing your favourite games, you can do it on the go with the greatest of ease. The casino hasn’t been operating for long, so expecting a 24/7 customer care service would probably be setting the expectations a bit too high. If you come across any problems on Twin Casino and you need to contact someone, you have two options: send an e-mail or use their live chat option. Their live chat opening hours depend on what language you’re using the site in. Having said that, the website promises a response within 24 hours regardless of what method you decide to contact them with. Can’t be bothered to wait for their reply? You can always visit their FAQ page to see if you can find your answer there. At the moment, their ‘Get in Touch’ page indicates that their typical response time is 30 seconds, but we’re guessing this varies according to time zones and which location you’re in. When it comes to making your payment, you can rest assured that your money is safe with this casino. This online gaming site makes use of SSL (Secure Socket Layer) Encryption, setting up very high security standards for the way your transactions are made. When making a deposit, you can make use of Visa, Credit and Debit cards, Neteller, Skrill, Zimpler, Bankwire, Paysafe Card and Trustly. You have less options if you’re withdrawing; Bank wire, Trustly, Skrill, Neteller, Credit and Debit Card. Minimum Deposit and Withdrawal for Trust Casino is 200 NOK, 200 SEK, 20 EUR, 20 GBP, 20 USD, 20 AUD and 20 CAD. The maximum amount of money that you can withdraw varies according to the type of withdrawal method you are using; except for Trustly, Bank Wire and Zimpler, the maximum withdrawal amount is capped at €1000. Twin Casino is licensed by the Malta Gaming Authority (MGA) and the Government of Curacao. Apart from being secure on that front, all the information you provide, the casino encrypts, meaning that your information and details are kept 100% private. The payment methods used are also tried and tested, trustworthy sources so we think it is safe to say that when it comes to playing with this Casino, the issue of security should be of absolutely no concern. Twin Casino creators took a risk that most definitely paid off. We’re excited to see whether or not they will be sticking to this twin theme when it comes to future bonuses; let’s face it, we all have our fingers crossed for this one. The casino’s strength definitely lies in their selection of live games; having said that, we’re eager to see how they will be expanding their game repertoire; other than that, this Casino gets a huge thumbs up from us! Get 100% up to €100 on your first deposit and 100% up to €100 when you make your second. Get 50 free spins when you deposit €50 both on your first and second deposit, which you can use on Yggdrasil favourite ‘Sunny Shores’ slot.